3.Initiate Recharge of Rs 50 Or Above. 6.Then Enter FC Coupon GOFC50 Under GOT A PROMO/FREEFUND CODE? field. 8.Boom! You will get 100% cashback in FC Credits instantly And also you will get 25 Cashback coupon code on 25 Recharge via Sms. 1.Offer valid only for New Freecharge Users,and valid once per user/Mobile Number/DC/CC. 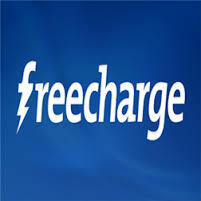 2.Users can redeem offer on all freecharge platforms Website or Mobile App Both. 3.Cashback to be offered in the form of EGV which can be redeemed in the next 6 months from the date of credit. 4.Offer Valid till 12th October,2015 and Rs 25 Cashback code valid till 20th October,2015. 5.Offer Not valid for Airtel Transactions.